You can now customize your Team Dashboard by using our new Team Dashboard Filter to select which athletes are included! We heard your feedback that this would help you with your day-to-day decisions. This allows you to select or deselect any of your roster athletes from the team dashboard so that only specific players are included. 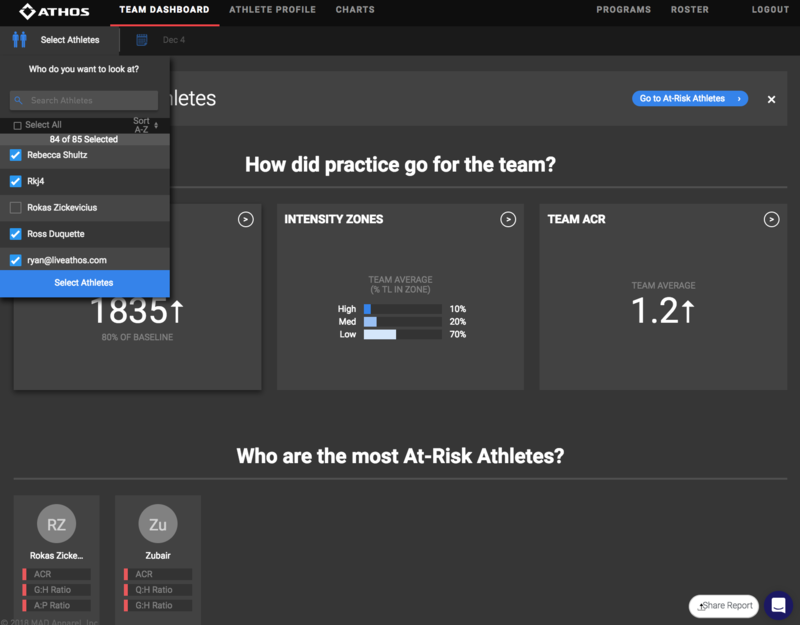 These could be specific positional athletes, just your injured athletes or any other group (or individual) that you’d like to isolate on your Dashboard. From your Team Dashboard, click on Team. The word Team will change to Select Athletes. The default state is to have ALL athletes selected. Here you have the opportunity to deselect the athletes that you’d like to have included in the group you’re examining. Below we have deselected one athlete that was previously selected. 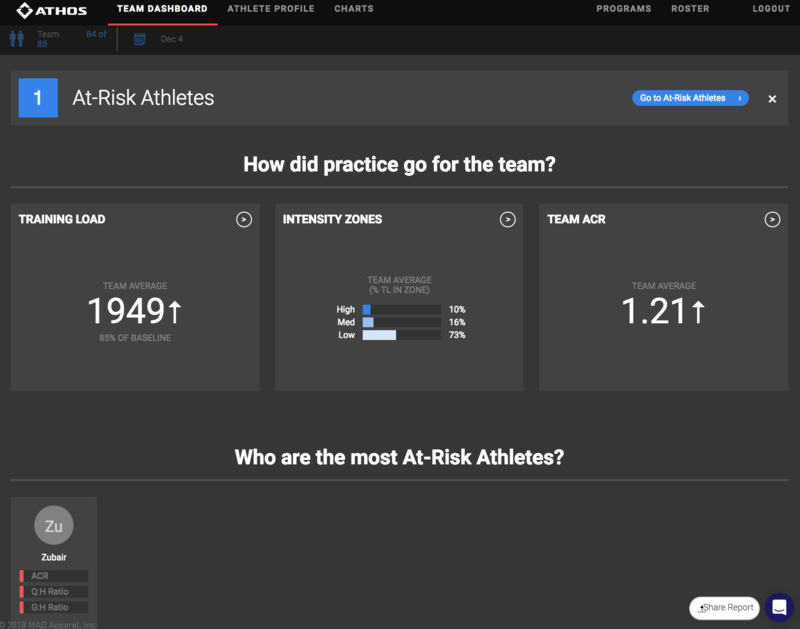 Once you click on Select Athletes, your Team Dashboard will now ONLY reflect those athletes you have selected. Below, the deselected athlete no longer appears in the At-Risk Athletes. For more information or if you have any questions, please contact support@liveathos.com.